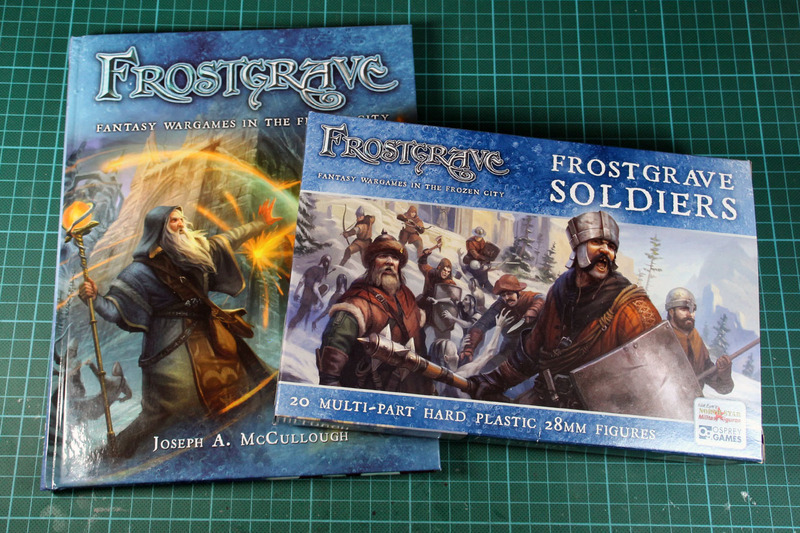 To mix up the Frostgrave Soldiers i got myself some sprues of Fireforge Games Foot Sergeants and Gripping Beasts Viking Hirdmen. 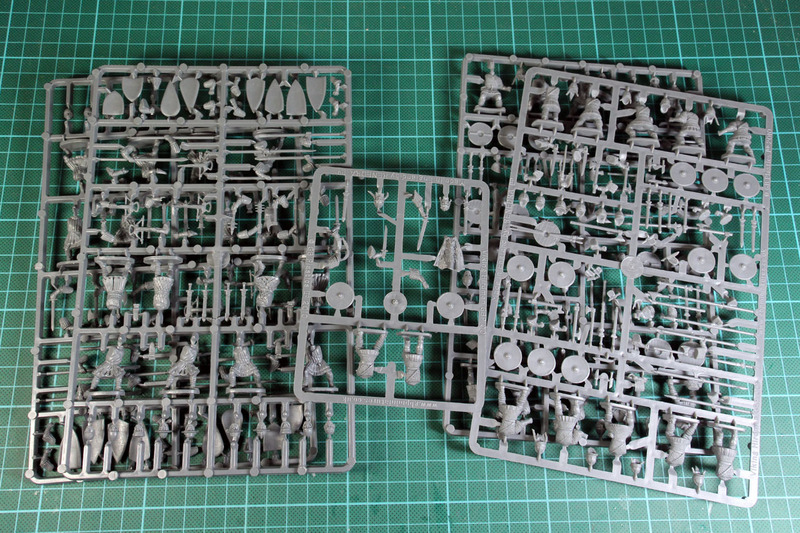 The first i had to trade, as i didn't want to buy a whole box for 39 Euro (the miniatures are nice, but in my opinion that is rather pricy for a historic plastic kit), but thanks to the friendly community at Sweetwater that was no problem. Of the vikings i still had some sprues lying around from my first saga project. 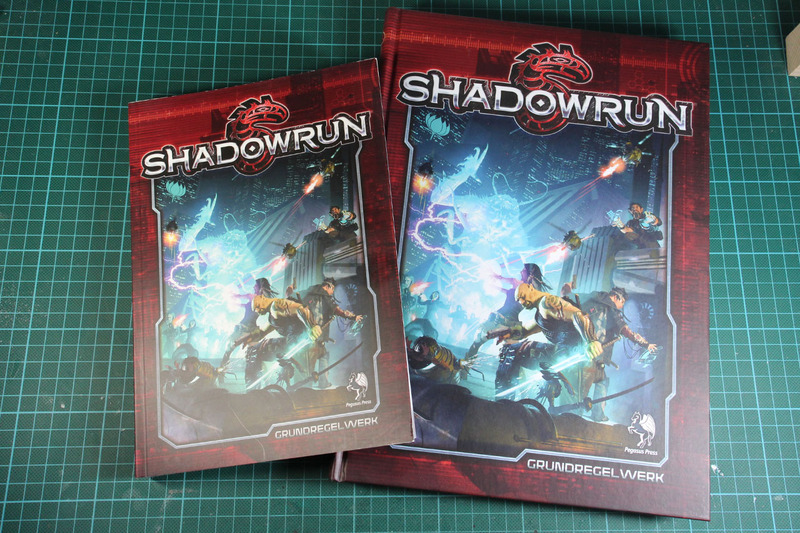 Shadowrun is back with the 5th edition, and one thing to say, Pegasus - the german distributor (i visited them a few weeks ago, you remember) - is really putting a lot of weight into this project. The english version of the core rulebook is 59 USD (~51 Euro). Pegasus has it available as hardcover für 20 Euro and softcover paperback for 10 (!) Euros, which is roughly 22 / 11 USD. I'll go into detail on these books in a separate article. I really like the cyberpunk world of shadowrun and i am missing it as a miniatures game, but that's on of the subtopics of the upcoming article. Stay tuned. You might remember my Dark Age buildings, and of course they need some bases. 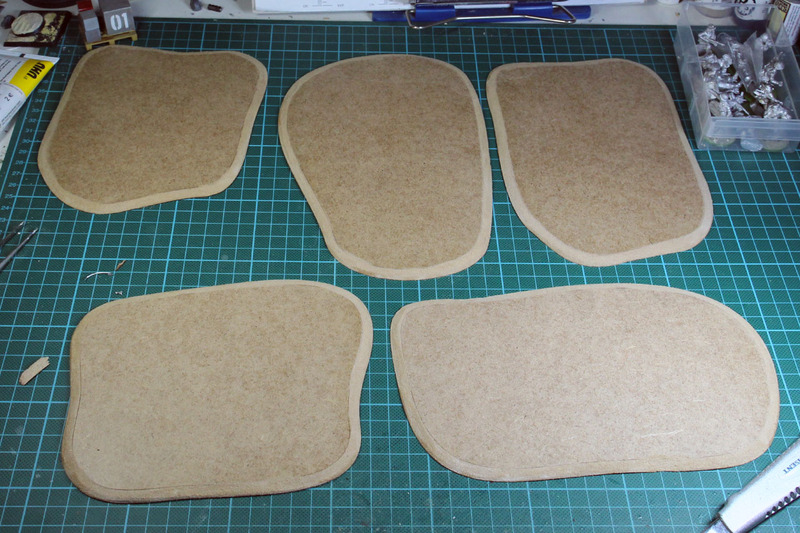 Each house has its own and at some point, i noticed how easy the mdf can be bevelled by just using a cutter. 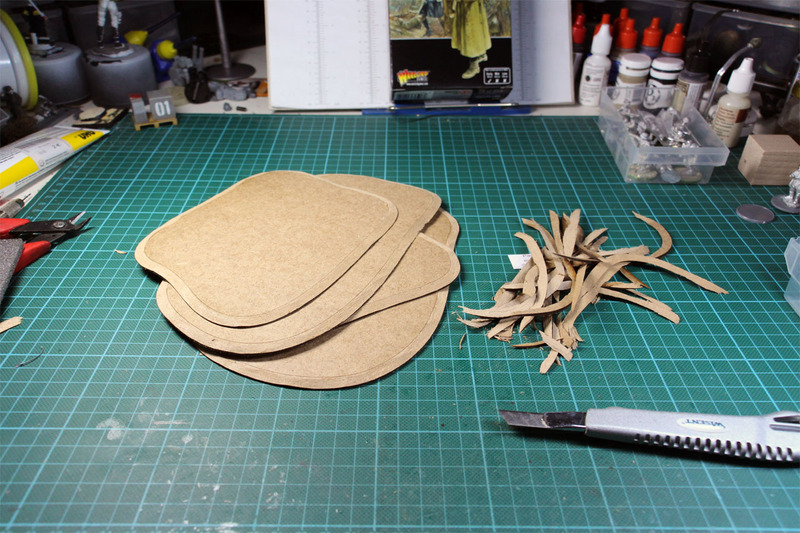 It is a lot easier than filing the whole thing to the edge, so i do a rough 45° cut and give it another go with the files. But as always, stay safe while you do this. Use a sharp knife and protection for yourself and surrounding. Thanks a lot for reading, come by again soon and leave a comment if you like this blog!